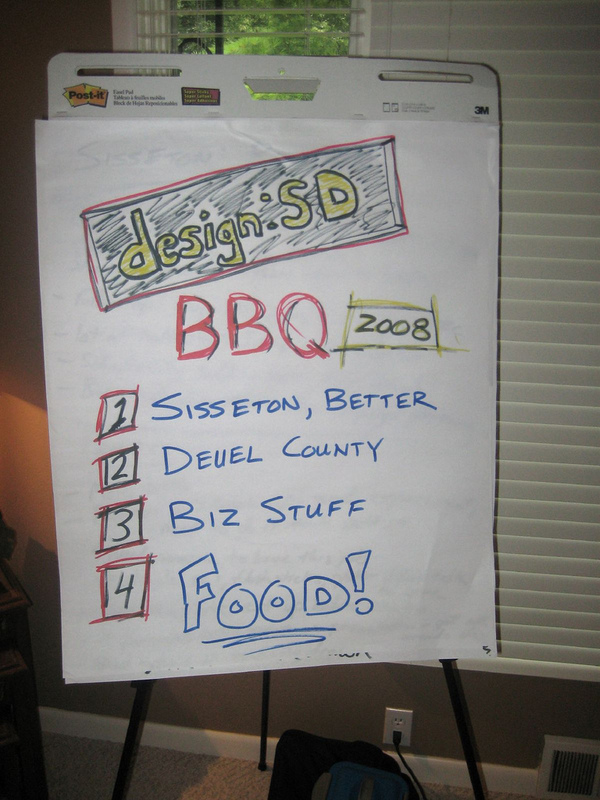 The site of d:SD community 3 is official: design:SD will be heading to Deuel County, SD next. We’ll plan a community design charrette in Fall 2008 or Spring 2009 (we’ll figure out the date soon).It will be tricky–our first crack at a regional approach (at least three communities at once: Gary, Clear Lake and Lake Cochran). We had our annual summer barbecue for the d:SD team in the Beddow’s backyard on July 24 (and managed to somehow pull it off without Mrs. Beddow!) 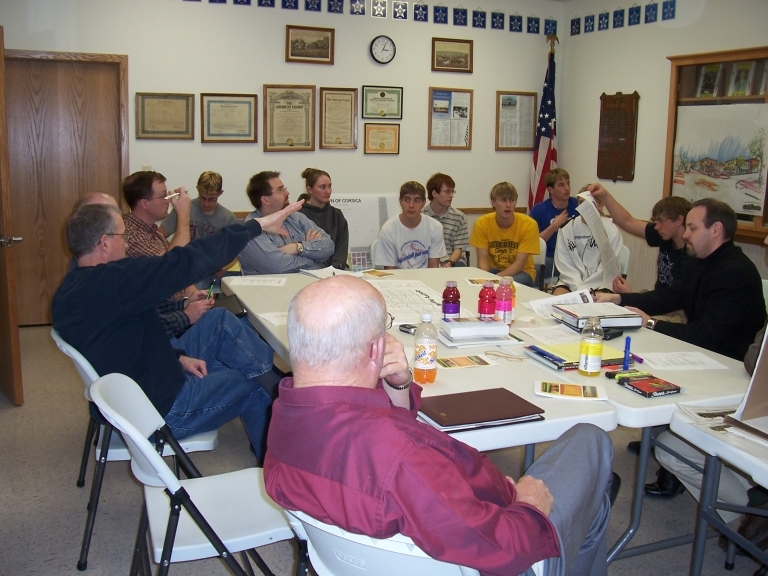 and then a meeting with a local group from Deuel County earlier this week. We’ve officially accepted the invitation from Deuel County. Now comes the hard work for both of us! We’ll keep you posted! our agenda from the bbq--part work and part party! The design:SD planning team spent an afternoon in Corsica on March 23. We met with the local Housing Commission and with the senior class from Corsica High School. We also further developed our plans for May 16-19. We’ll soon be releasing the event schedule. The Corsica Commercial Club has set up a handful of committees to help coordinate the charrette (what is a charrette? ), including a Food Committee and a Host Home Committee. The Food Committee will be in charge of coordinating/serving the meals and snacks/refreshments for the Design SD Team while they are in Corsica in May. The Host Home group is looking for families in the Corsica area who are willing to host a Design Team member for 3 nights. Host families will not need to feed your guest, just provide a place to sleep, shower, etc. If you’d like to help, just contact Nathan Hinker at the Avera Corsica Clinic.